It IS Revised and Expanded, and TREK's History Is Revealed Inside! You may remember my original review of this book. In it I lamented the many proofreading and editing problems that plagued the text. Well, my prayers (and whining) were answered. I entered correspondence with the publishers and the author (a great guy, by the way), and was able to help! We now have a NEW AND IMPROVED, Revised Edition of the book, co-edited by Yours Truly! Yes, TRUTH IN REVIEWING: I am one of this edition's editors. And I’m in harness for Volumes Two and Three also. I’m also thrilled to have a few autographs to go with it! 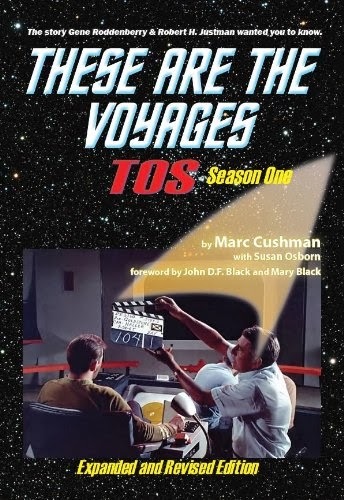 If you are a fan of STAR TREK, of pop culture, or of TV production history, you will want to read this book! For this edition,. it has been gone through from stem to stern, with additions, corrections, and straightlining of the text. It was already a stupendous amount of work in the service of fans and history. Now it is new and improved. I am happy to have helped with this new version of an instant classic! 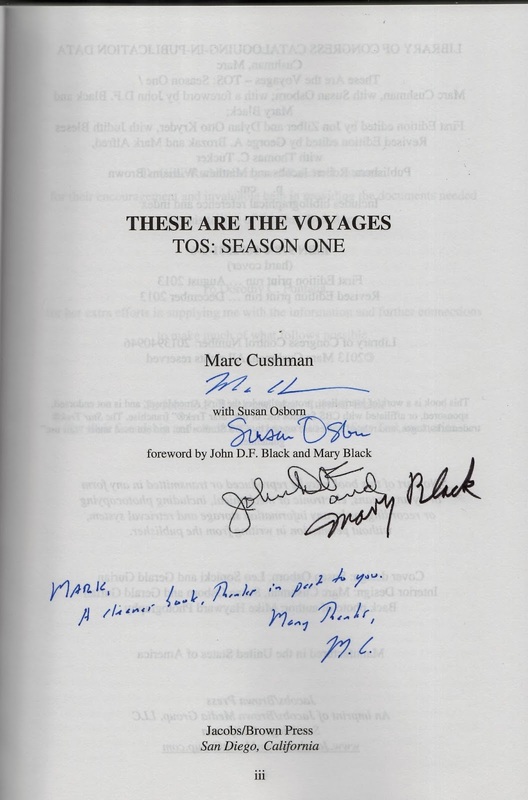 Here is a website about the books: http://www.thesearethevoyagesbooks.com/ -- and from there you can buy your own autographed copy! Go to the “STORE” tab. It's not Christmas or New Year's Day, so this is the PERFECT TIME for Bizarro Christmas wishes!